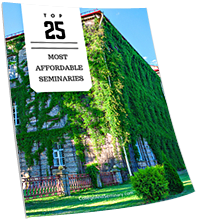 As with all higher education, Seminary offers a broad scope of degree programs. Where secular colleges and universities offer Bachelor’s Degree programs, Master’s Degree Programs and Doctorate programs, Seminary has their unique set of studies at different degree levels. This is the most common degree program in seminary. Like the Bachelor of Arts degree at a secular college, the MDIV is the initial degree for many seminary students. Additionally, the MDIV is required by most denominations for pastoral ordination. Many students entering the pastorate stop with the MDIV, but many also continue with further studies and earn additional degrees. Ministry/career options for the MDIV graduate include chaplaincy, various pastoral roles, missions and counseling. Even though this is the least of the seminary degrees, the MDIV can be necessary for these fields. In the church environment, there are many options for the MDIV graduate, including corporate or military chaplain, counseling and teaching just to name a few. Alternatively, there are secular options where an MDIV can be useful. Teaching, counseling and public arena advocacy (i.e., for family, civil rights, etc.) would benefit from an MDIV degree holder. There is a certain credibility associated with the theological studies that can add impact in the secular or public realm. A seminary graduate can also be a social commentator through writing, public speaking or through social ‘watchdog’ groups. The Master of Arts degree typically includes a specific emphasis (Biblical Counseling, Christian Education, Christian Leadership, Cross-Cultural Ministries, Media Arts/Worship and Biblical Exegesis/Linguistics). This is a more focused degree program with a strong emphasis on one primary area within the coursework. This is considered to be a more academic program, although the targeted area does have real-world applications. Many schools have a thesis (where a formal paper is submitted as part of the degree award) and non-thesis program for this degree. Ministry options for the MA graduate include more narrowly defined pastoral roles, chaplaincy and counseling positions. Missions work is well within this career field as is education (either at a seminary or other institution). While similar (and higher level) secular options are available for the MA degree as for the MDIV, the primary field of employment will be within a church or parachurch environment. This Master’s degree is more focused on the study of Scripture in context (including theology, hermeneutics, apologetics, church history and global studies). It is generally more academic than cultural in that it is a deeper study of history, language and interpretation rather than social concerns. Although some schools offer tracks within this degree field for cross-cultural studies, evangelism and translation, this field of study is for the student who seeks expertise in the form of “book knowledge” in order to apply it to their environment. Some schools require a research paper as part of their application package. The Masters of Theology programs are aimed at those in active Ministry as opposed to secular careers (although chaplaincy would be a valid field to have a ThM degree). This Doctorate program is for MDiv or MA degree holders to delve into deeper studies of the Ministry and its impact on the culture and congregation. Many schools offer this program as a four-year study and include research projects and real-world engagement as part of the graduation requirements. The DMin program is structured to improve leadership qualities of a pastor while sharpening their discernment and focus within their area of ministry. 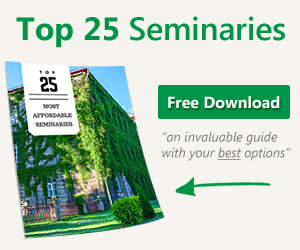 Variations and specialties are offered at many seminaries (i.e., education, ministry development, leadership and spirituality). The DMin is almost exclusively for those active in ministry in church and parachurch organizations. The graduate will be considered the expert in most ministry environments, whether on a church or missions board. This is among the most scholarly degrees in seminary, concentrating on preaching and exhortation, leadership and shaping the worldview of others. This program adds an educational focus to the DMin track where the practical application would be within the field of Education (non-public). The highest degree offered by seminaries and Christian schools is the Doctor of Philosophy. Entrance requirements are strict (MDiv, MA, high GPA, academic excellence in undergrad and graduate coursework) and the program is strenuous—it typically includes multiple language studies (particularly Hebrew and Greek) and periodic comprehensive exams. The successful PhD will write, preach, teach and offer insights and opinions on the God and the world. Theirs is the “expert” opinion sought by the media, church and parachurch organizations and publishers. There is a path through the degree offerings and one may exit at any level and find valuable, fulfilling and relevant activity that will not only justify the time and expense but work to expand the Kingdom of God. Whether it’s the local church, missions (foreign and domestic), education or chaplaincy, seminary degrees provide the opportunity to open doors with respect and credibility.